No matter what type of accident or medical malpractice case you may have, my goal is to educate you. 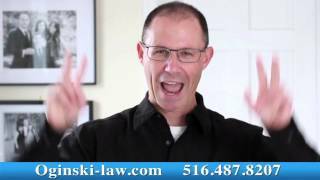 These videos are not meant as legal advice at all. Rather, they are designed to explain how lawsuits work. I'm Furious with Today's NY Post Article! I know you have questions about your medical care. You think a doctor or hospital staff was careless. That's why you're here. I'd like to answer them. (2) WHEN did this happen? (3) WHAT injury did you receive because of whatever was done wrong? (4) Has any doctor CONFIRMED that something was done wrong? I need to know this information before I can help answer your specific questions. First, I need to know that this happened HERE in New York. That's where I practice. Nowhere else. If your matter happened in another State, then I could not help you. 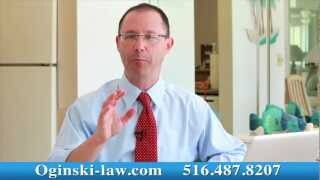 (However, I might be able to refer you to an excellent attorney in another State). Second, I need to know WHEN this happened. I need to know whether your matter is still timely. Every type of legal case in New York has a time limit attached to it. The time limits are different for adults and for kids. The time limit is different for a municipal hospital compared to a private hospital. The time limit is different if you continued to see and treat with the same doctor who caused your problem. The time limit is different if your family member died and you're looking to see if you have a valid case. Third, I need to know what injury you suffered because of the wrongdoing. Is it permanent? Is it disabling? Is it significant? This will tell me how severe your injuries are. You'll find that most really good experienced trial attorneys in New York will not take on cases that have minor or limited injuries. That's because an attorney spends a tremendous amount of time, energy and resources to prosecute a medical malpractice case. If a lawyer is going to invest his time and resources to help an injured patient, he wants to make a significant impact to help that victim. Fourth, I want to know whether any doctor has confirmed your belief that something was done wrong. Most of the time you will not have spoken to another doctor who criticized the medical care you received. However, if another doctor has told you something was done wrong, then I'd like to know about it. It gives me an insight in a physician's thinking about the treatment you received. It suggests there may be a valid case here. These four questions are just the basics. You'll notice, none of these questions call for details of what happened. At least not yet. This is just a brief screening call. If your matter is timely and if you have significant injuries then we'd invite you in for a full consultation. At that time, we'd spend a considerable amount of time learning all the details of what happened to you. The easiest way to get your questions answered quickly is to pick up the phone and call. You know I answer questions like yours every single day and would love to chat with you. You can reach me at 516-487-8207. Now...if you've read this far and are looking for more information about how cases like yours work here in New York, you've come to the right place! On my website I have thousands of useful articles to help you understand how these types of civil medical malpractice cases work. 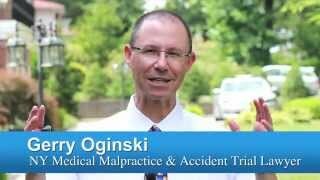 I also have hundreds of educational videos that explain how different types of malpractice cases work along with real-life cases I've handled during my legal career. In addition, I wrote four very useful books just for you, to help you understand every step of the legal process in these medical malpractice and accident cases. The call you make to me is free. You might ask yourself why I'd create all this useful material and give it away for free. Excellent question. My goal is to teach you. To help you understand. My goal is to help you. The more information you have about how your type of case works, the better informed you'll be. If you have a valid case, I find that the more informed you are, the happier you'll be with the legal process even though it can be frustrating and take a long time to resolve your matter. The fact that I have been in practice now since 1988 is only one factor that helps you decide whether I'm the right attorney for you. Hiring an attorney is a big decision. Do not take it lightly. You have to like your lawyer, trust your lawyer and feel comfortable with him or her. They have to be responsive to your needs and questions, update you frequently and keep you in the loop about what is happening with your particular matter. Every lawyer likes to say they give personal and caring attention. However, not every lawyer is responsive and speaks to you every month on the phone to keep you updated about your particular matter. Not every trial lawyer makes you feel as if you are the most important client in his office. Not every lawyer can tell his client exactly what happened last in his case without having to run to the file or check the computer. The question “Who Am I?” Is not as important as the information I provide to you to teach you and educate you. Who I am is secondary. 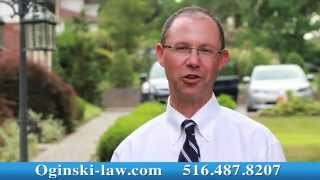 My goal is to help you understand the legal process. 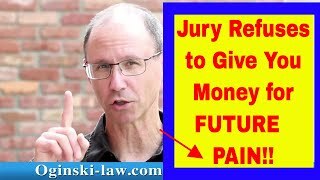 What better way than to have me show you step-by-step exactly how the lawsuit process works. 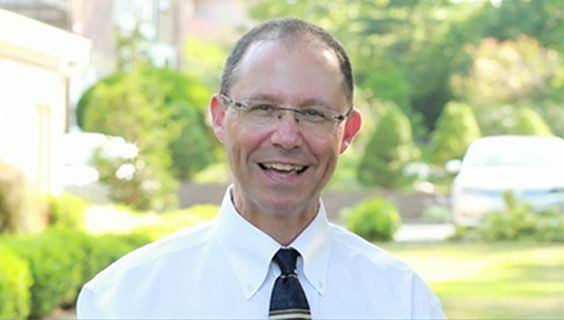 I encourage you to explore my educational website where you can literally spend days and weeks learning about negligence cases, accident cases, medical malpractice lawsuits, and wrongful death cases. Take the time to watch my videos, read my free special reports, request your free download of any or all of my books, read the hundreds of questions and answers and come to your own conclusions about what to do next. If you have legal questions, I encourage you to contact me. This is what I do every single day and I welcome your call. 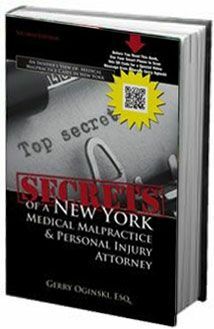 Learn how medical malpractice and accident cases work in the state of New York. Real cases. Real information. Become a better informed consumer. I guarantee that after reading my book you will learn at least five new things that you did not know before. Become informed, learn all that you can, and choose your attorney carefully. Only by learning about cases like yours can you, the consumer, make the right choices to help you and your family. 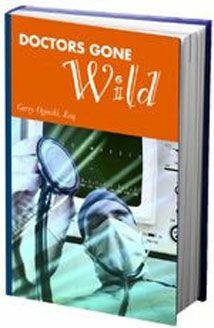 DOCTORS GONE WILD is an insider's view of medical malpractice here in New York. In this book you’ll learn 10 Reasons Why You Shouldn't Sue Your Doctor. You'll learn about a Urology Disaster, a Dental Implant Nightmare, a botched breast reduction surgery. Find out whether a doctor who perforates your colon during colonoscopy is responsible for your injuries. Learn about a failure to diagnose ectopic pregnancy, failure to diagnose lung cancer, emergency room mistakes and much much more. 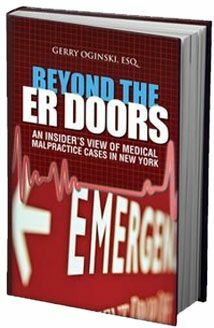 Reading this book will provide you with insight and understanding about some of the cases I have handled over my career. They range from failure to diagnose lung cancer to birth injury cases to improperly performed surgery cases and many others. I guarantee that by reading this book you will learn things you did not know before. Enter your information for immediate download. 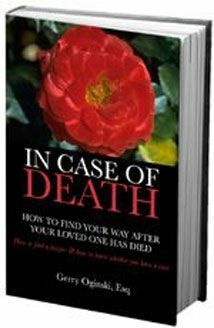 In this book you’ll learn learn how a wrongful death lawsuit in New York works. 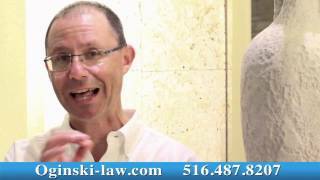 You'll learn how much time you have to file a lawsuit for wrongful death, how much time you have to file a claim against the New York City Health and Hospitals Corporation and the City of New York. 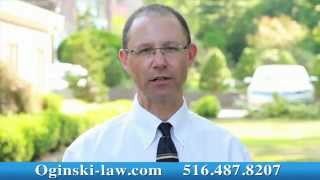 Learn how to choose a wrongful death lawyer in NY. Find out whether you need an autopsy to determine the cause of death. 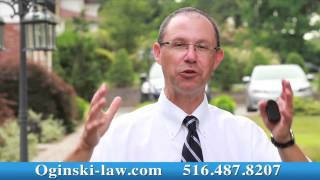 Learn 9 Facts Your New York Wrongful Death Attorney May Not Tell You, and much much more.